Conventional wisdom says that unregulated TRUs are unable to provide “clean”, low ripple and stabilized voltage whereas regulated TRUs (RTRUs) resolve these concerns with a “tight regulation”, but this is not the case as revealed here. 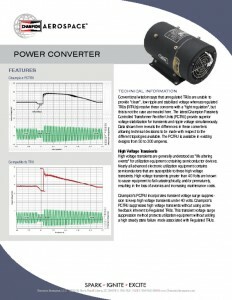 The latest Champion Passively Controlled Transformer Rectifier Units (PCTRU) provide superior voltage stabilization for transients and ripple voltage simultaneously. Data shown here reveals the differences in these converters allowing technical decisions to be made with respect to the different topologies available. 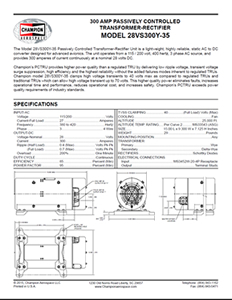 The PCTRU is available in existing designs from 50 to 300 amperes. High voltage transients are generally understood as “life altering events” for utilization equipment containing semiconductor devices. Nearly all advanced electronic utilization equipment contains semiconductors that are susceptible to these high voltage transients. 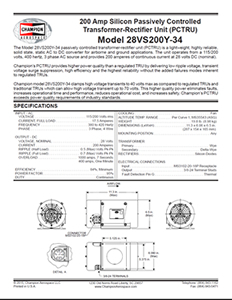 High voltage transients greater than 40 Volts are known to cause equipment to fail catastrophically, and/or prematurely, resulting in the loss of avionics and increasing maintenance costs. 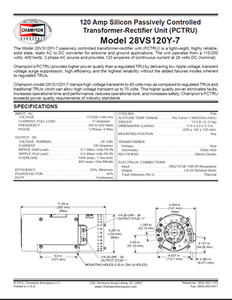 Champion’s PCTRU incorporates transient voltage surge suppression to keep high voltage transients under 40 volts. 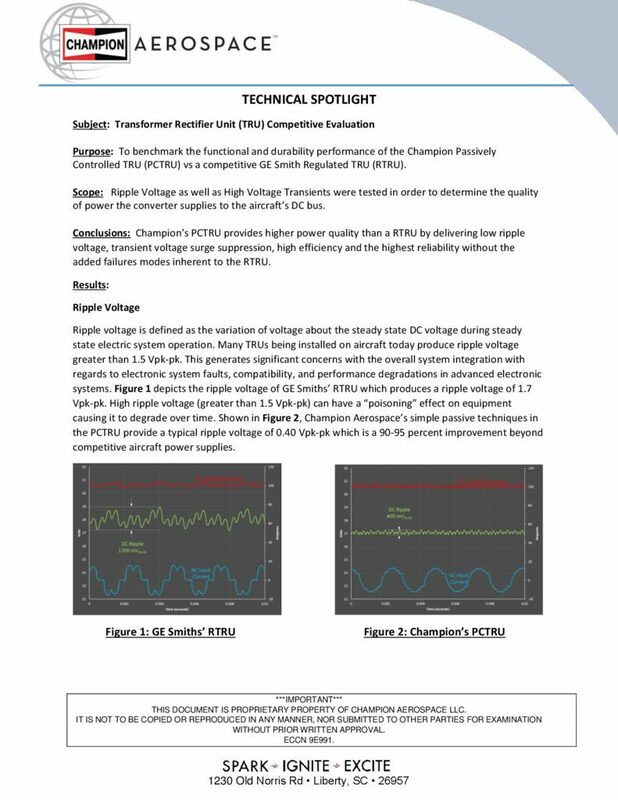 Champion’s PCTRU suppresses high voltage transients without using active feedback inherent to Regulated TRUs. 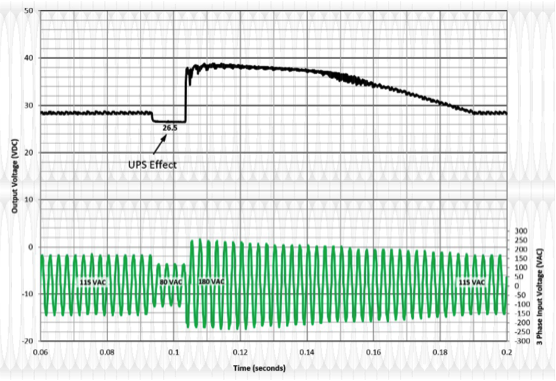 This transient voltage surge suppression method protects utilization equipment without adding a high steady state failure mode associated with Regulated TRUs. 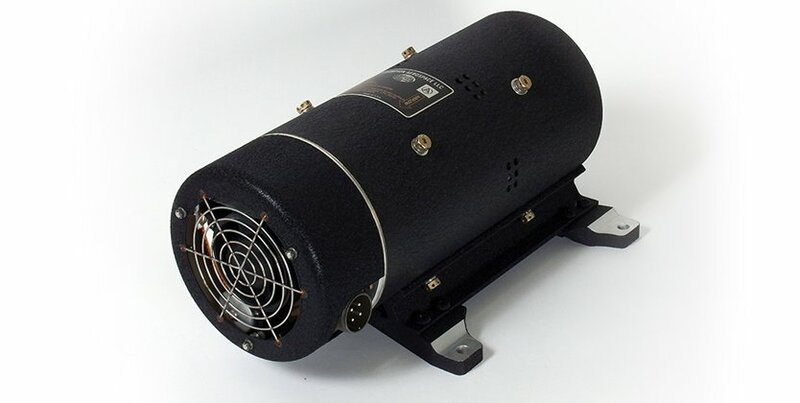 Ripple voltage is defined as the variation of voltage about the steady state DC voltage during steady state electric system operation. 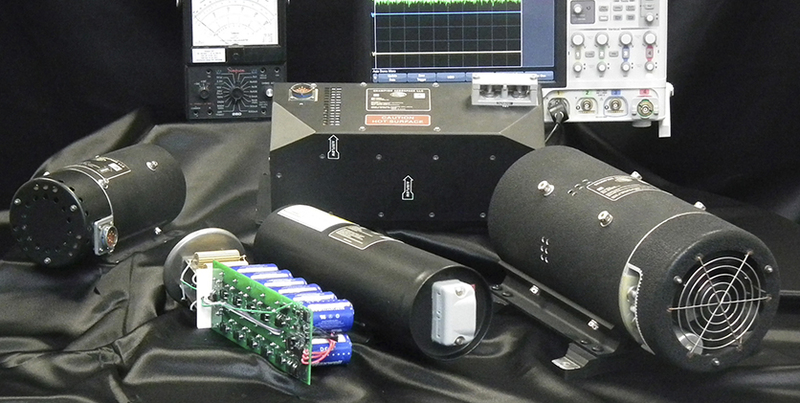 Many TRUs being installed on aircraft today produce ripple voltage greater than 1.5Vpk-pk. 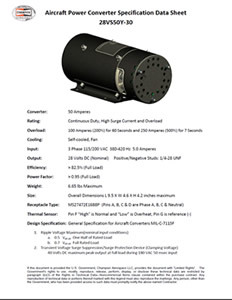 This generates significant concerns with the overall system integration with regards to electronic system faults, compatibility, and performance degradations in advanced electronic systems. High ripple voltage (greater than 1.5Vpk-pk) can have a “poisoning” effect on equipment causing it to degrade over time. 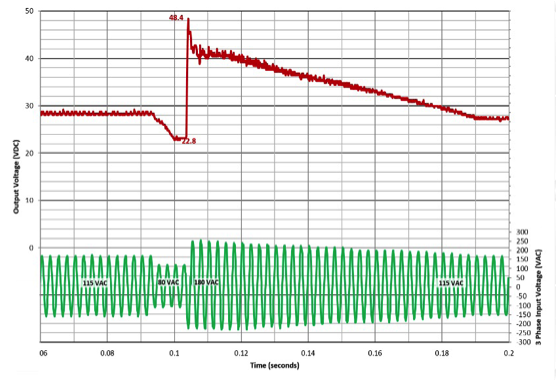 Champion Aerospace’s simple passive techniques in the PCTRU provide a typical ripple voltage of 0.20 Vpk-pk (shown below) which is a 90-95 percent improvement beyond competitive aircraft power supplies.